The “Interpret” exhibition seems to overflow with academic and abstract interpretations of contemporary art. 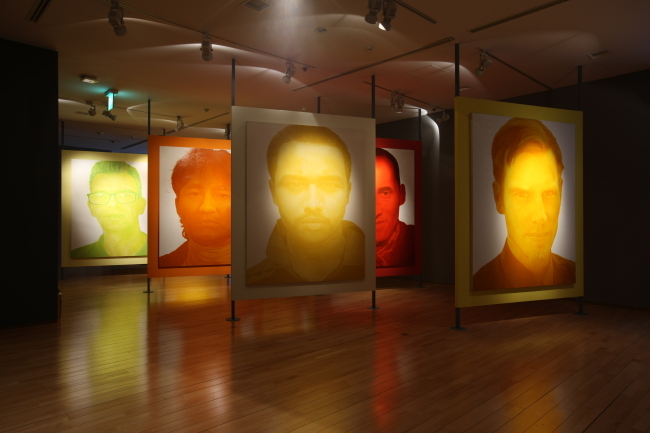 The exhibition’s “Re-light” section features artworks that have long been kept in storage or have never been exhibited. Labelled with codes such as “PA,” “SC,” “PH” and “NM” -- each representing painting, sculpture, photograph and new media, respectively -- the artworks offer a glimpse of the museum’s art categorization and identification process. “This is very much a public-friendly exhibition. It shows both sides of artworks -- from their conception, production and background to (the process of) becoming a museum exhibit,” said Kang. The museum is also hosting a variety of interesting performances throughout the exhibition period. 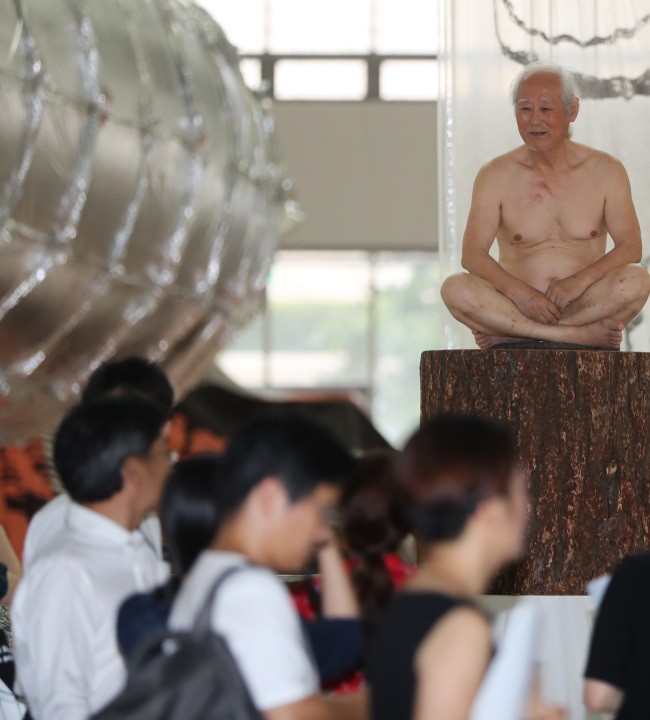 Last Thursday, veteran avant-garde artist Kim Ku-lim restaged the naked performance that he first presented 40 years ago at a former MMCA museum building in Seoul. He sat on top of a tree trunk, placed high on a stand covered in a white fabric, and meditated amid the sound of Buddhist bell rings. “At that time, people pointed fingers at me and called me crazy. People now don’t think of it that way at all,” said the 80-year-old artist during the performance. “It’s like I’m up in the sky sitting on the clouds and I empty my mind and meditate quietly,” he said. During the exhibition, models will be hired to replace Kim in the restaging of his performance. From Sept. 22-24 and from Sept. 29 to Oct. 1, actual shamans will offer nonverbal guided tours of the exhibition. Admission is free. The exhibition runs until Feb. 12, 2017. For more information, visit www.mmca.go.kr.